Uh-oh. Look out, fellow historians. After all, the same 2014 Georgetown University study that found that recent philosophy graduates have an unemployment rate of 10.8% found that the same figure for History majors was 10.2%. But: that’s the initial number. Among college graduates aged 30-54, the unemployment rate for philosophy majors is 6.8% — and for history majors it’s even lower: 5.8%. That’s roughly the same rate as for general engineering, computer science, and hospitality management, and it’s actually a bit better than for graduates with degrees in marketing, HR management, communications, journalism, public relations, and psychology. And as FiveThirtyEight.com pointed out today, several studies show that philosophy (and history) majors have a range of earnings — but generally do better than welders. For example, data from PayScale.com shows Philosophy grad earnings ranging from $37,000 to $83,000, versus $23,000 to $63,000 for welders. The range for history majors (citing jobs as diverse as high school teachers, paralegals, and operations managers) is even greater: from $26,000 to $88,000. And that doesn’t include attorneys with History degrees; they range from $38,000 to $248,000. Author Chris GehrzPosted on November 11, 2015 November 11, 2015 Categories Careers for History Majors, Current EventsLeave a comment on How about Historians and Welders? 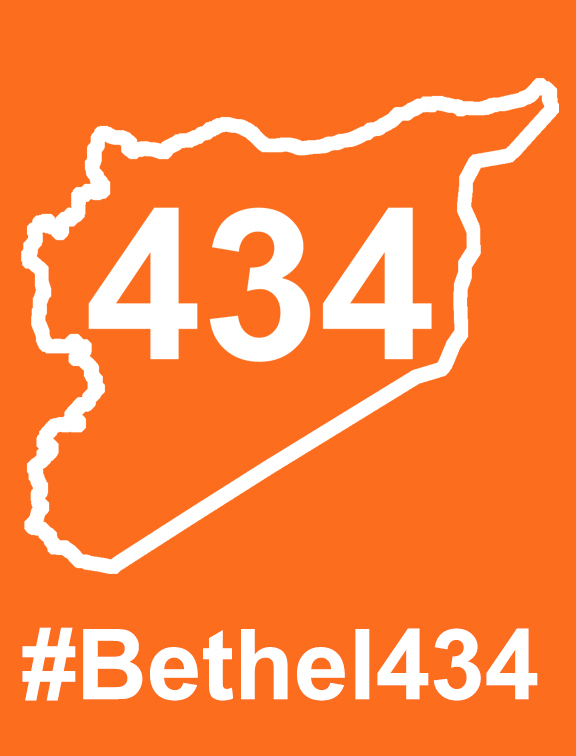 The Bethel 434 Campaign presents a way for students to get involved with assisting those affected by the Syrian refugee crisis. As college students, it is often easy to get lost in the difficulties of our own lives: dealing with exams, assignments, and student employment is enough to distract us from life outside of Bethel. We often forget that Bethel’s mission, vision, and values call us to seek out the truth, follow the teachings and example of Jesus, and to strive to be world-changers. Such a calling demands that we pay attention to the news, identify situations in which assistance is needed, and strive to do our part to help those in need. Clearly, we, as the Bethel community, as Christians, and simply as human beings, are called to do something about this situation. But where do we even begin with such a major crisis? How can we organize ourselves and find a way to turn our concerns into tangible help? Fortunately, Bethel’s History and Political Science Departments have an idea- support the 434 Campaign. The 434 Campaign began when History and Social Studies Education Grades 5-12 double-major, BTS minor, and current Modern Middle East student Brandon Sebey told his professor that something should be done. In his words, he “hates the idea of doing nothing when there is a problem and just couldn’t handle not doing anything.” After that, the campaign grew through discussions in Amy Poppinga’s Modern Middle East class, and has gained the support of the History Department and the Political Science Department. The campaign will last from November 2nd through November 6th, and will focus on two essential areas: awareness and action. For the awareness portion of the campaign, we will see a visual representation of the number of refugees. 434 members of our community (or 17% of our 2500 member College of Arts and Sciences) will be wearing orange on November 4th. This is to represent the estimated 17% of Syria’s population that is currently living as external refugees. Of these 434, 43 students, staff, and faculty members will be wearing orange t-shirts. These individuals will also be carrying laminated cards with important information about the Syrian refugee crisis. I would highly recommend that you stop to talk with one of the orange t-shirt bearers. 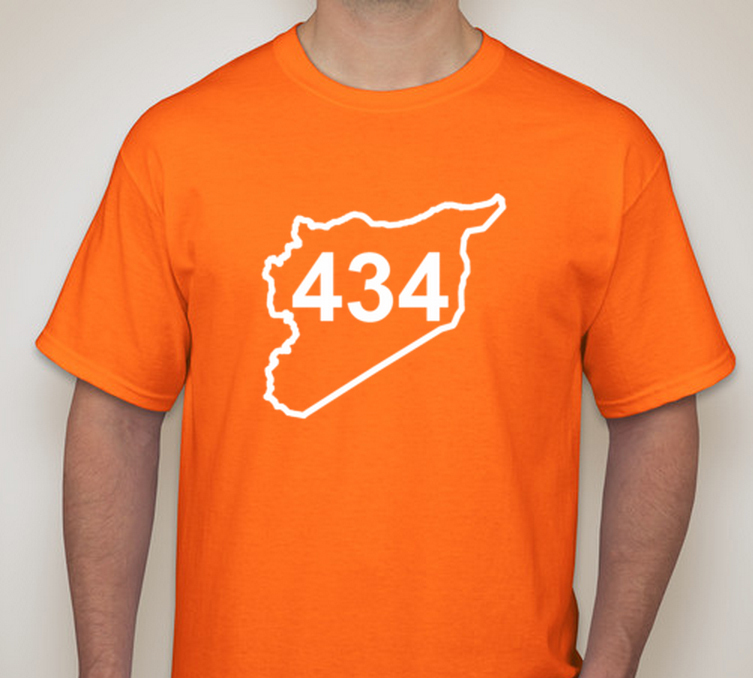 Individuals wearing this shirt on November 4th will be able to discuss the Syrian refugee crisis and the goals of the 434 Campaign with students. Signing the official petition to the White House and to our members of Congress urging the U.S. government commit to resettling 200,000 refugees in the upcoming year, to increase support for the millions of refugees and internally displaced Syrians, and to pursue peaceful ends to the conflicts that created this crisis. Committing to pray on a particular day of the week for the remainder of the semester. Students who make this commitment will be given a prayer card stating their day of the week and their specific prayer area, based off of the We Welcome Refugees Prayer Guide. The official commemoration has not been without tension. France did not take part in an international commemorative ceremony in Kigali, after Rwandan president Paul Kagame (who ended the genocide in 1994 by leading a Tutsi invasion from Uganda) renewed his accusation that the French had helped train the Hutu militia largely responsible for the slaughter. Kagame has won praise for pulling his country out of the worst spell of violence the world has seen in decades. His government has advanced women’s rights, economic development and health care. But critics say progress has been marred by the government’s authoritarian grip on control with many government critics and opposition members killed. Human Rights Watch says civil and political rights in the country remain severely curtailed. It has condemned attacks on Rwandan government critics in exile. Whether there is indeed “justice after genocide” will be an open question for us to explore at the end of April and into early May. We’ll consider systems of retributive justice, but also at more “restorative” approaches that rest on a mix of truth-telling, forgiveness, and reconciliation. When he woke up, he was crying. “I cried all night, but when the crying stopped, I felt light and love,” Gahigi said. He believed then that he had the power to forgive and to help others forgive. He began preaching reconciliation, and he sought out the prisoners who killed his family. Are you concerned about what’s happening in Ukraine? Curious about the historical origins of the conflict, and the role of Christians in it? Wondering about its implications for U.S. foreign policy? 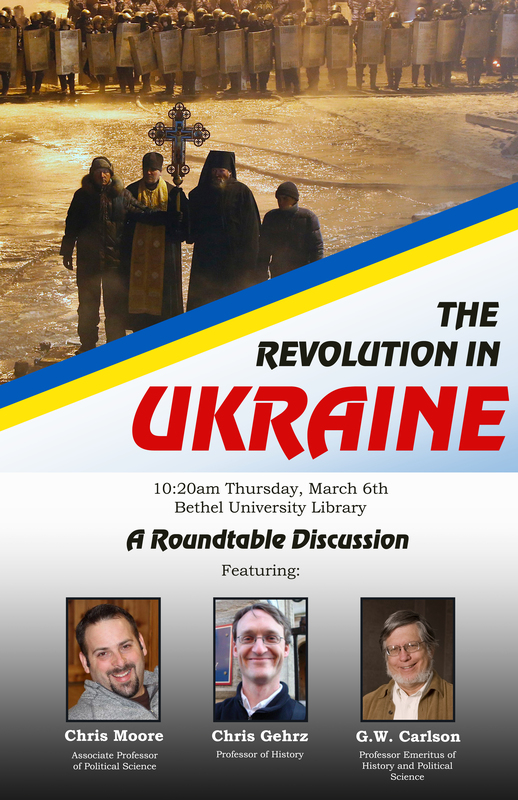 Join us this Thursday (March 6th) next Thursday (March 13th), 10:20am in the Bethel University Library for a roundtable discussion of The Revolution in Ukraine. It’ll feature G.W. Carlson, Professor Emeritus of History and Political Science and an expert on religion and politics in Russia and the former Soviet Union, and Chris Moore, Associate Professor of Political Science and director of Bethel’s International Relations program. History professor Chris Gehrz, who regularly teaches a course on the Cold War, will moderate the discussion. Please note the changed date: we needed to reschedule so as to avoid a conflict with the funeral of former Bethel first lady Nancy Lundquist. I mourn for my home. I’ve never met the people in the pictures, but I feel like I know them. What remains of their homes, stores, schools, streets, and markets looks familiar to me. The giant tangles of power and telephone lines are no different from the ones I used to marvel at through my dentist’s window. I don’t see a foreign country; I see my home…. I mourn the silence of many Christians I respect. I’m not talking so much about my immediate church community, who has been bathing the Philippines in prayer this week, but those voices that stake their reputations on biblical justice and reconciliation, demand that the church be more like Jesus and less like white America, and call us to enter into the narratives of pain and oppression in the world. When disaster strikes our shores, they have no shortage of ink to spill reminding us to have compassion on the victims, or to weigh in on the theological implications of so-called “acts of God.” But when thousands of bodies, caked in mud and pierced with splintered boards and rebar, lay baking and swelling in the ninety-degree heat, where is their ink? 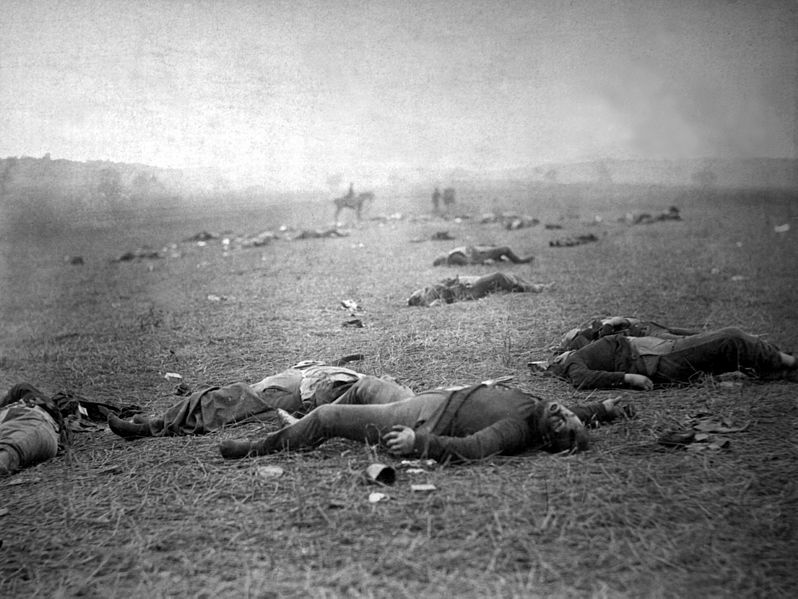 Where is their lament? I believe it’s there, but it needs to be spoken more loudly and more often. 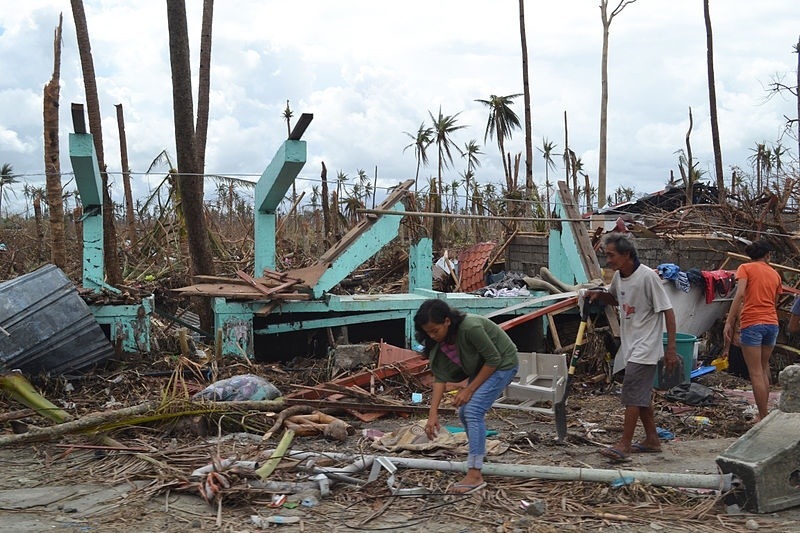 Read the full post (including suggestions for how you can help with relief efforts) here. While clashes between the Egyptian military and the Muslim Brotherhood have received ample attention in recent days, Western media have started to take notice of the violence affecting Egypt’s largest Christian group: the Coptic Church, spiritual home to about 10% of the country’s population. Come join us as we share our Coptic Christian heritage and culture with you. Our festival will have a cultural program includes movies, slide presentations, church tours, and church choir music free of charge. The festival also includes exhibits and sale of books, artifacts and jewelry, bakery sales and great Egyptian food. There are activities for children, and a lively and fun atmosphere for all! Look for Bethel History minor Andrea Kanani, who will be giving tours on Coptic history and theology.